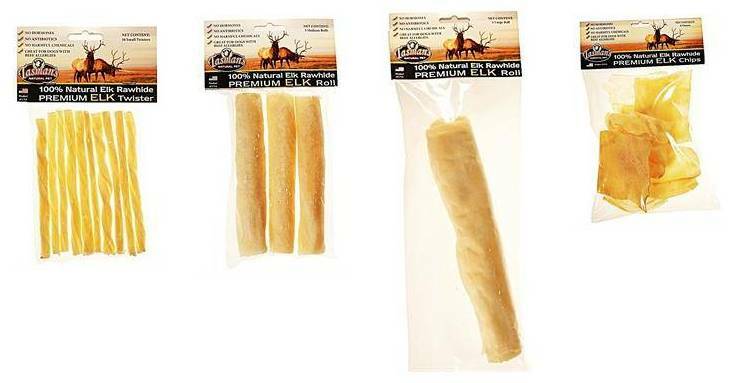 Tasman’s Natural Pet now offers North American Elk Rawhide along with their popular all-natural Bison rawhide chews made from free-range US Bison Rawhides. Don’t mistake these rawhides as typical as they are far from it! Free-Range means no hormones or antibiotics are passed along to your pet and the chemical-free processing means no chemicals either! Great for dogs with allergies or for owners who want to provide their pet with an all-natural diet, even when it comes to treats! Tasman’s premium Elk and Buffalo Rawhide Chews come in a variety of shapes and sizes. • Great for dogs with Allergies! Ask For Tasman’s Natural Pet Rawhide at a Northland Retailer near you.